Leave the management of software deployment, database maintenance, server validation and IT infrastructure to us. 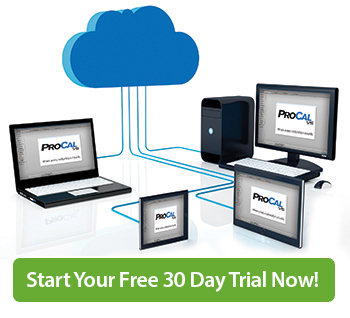 With ProCal Direct calibration software you can instantly access your professionally hosted calibration & maintenance data from anywhere via a validated Cloud-based solution. 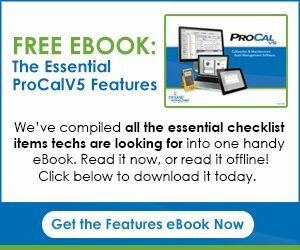 Multi-account configurable to meet each location’s specific quality assurance needs and work flow practices, ProCal Direct delivers the same functionality and power of ProCalV5. Like all Prime Technologies’ products, ProCal Direct is backed by a full range of training, tech support and professional support services. Hosting services provided offer high availability and comprehensive disaster recovery. Redundant controls provide real-time replication of data for immediate switchover. A combination of physical and network security system components ensure that data is truly safe from the consequences of a breach. An additional layer of services is added to prevent, protect against, detect, and mitigate threats to meet specific security needs. Additionally, for customers in the healthcare industry, services comply with HIPAA security requirements and standards. 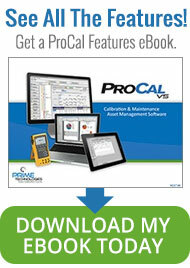 First in the industry with 21 CFR Part 11 compliant calibration software, ProCal Direct follows ProCalV5 as an industry proven solution. Prime Technologies’ quality development and validation testing practices are routinely audited and approved by major life sciences companies. IQ/OQ scripts and validation services are standard offerings. Comes with over 70 standard reports. With Crystal Reports, these can be user modified and new reports can be added. Powerful advanced query features offer fast retrieval of focused and sorted data. Once constructed, advanced queries can be named and saved for future execution. Services are also available to build custom reports to your specific requirements. Click here to read more on reporting and sample reports. Off-line, 21 CFR Part 11 compliant, paperless, Mobile Workstations are proven to eliminate human errors and significantly reduce costs of operations. ProCal Direct supports connectivity to these devices and also to Documenting Process Calibrators. Read more on paperless calibrations.